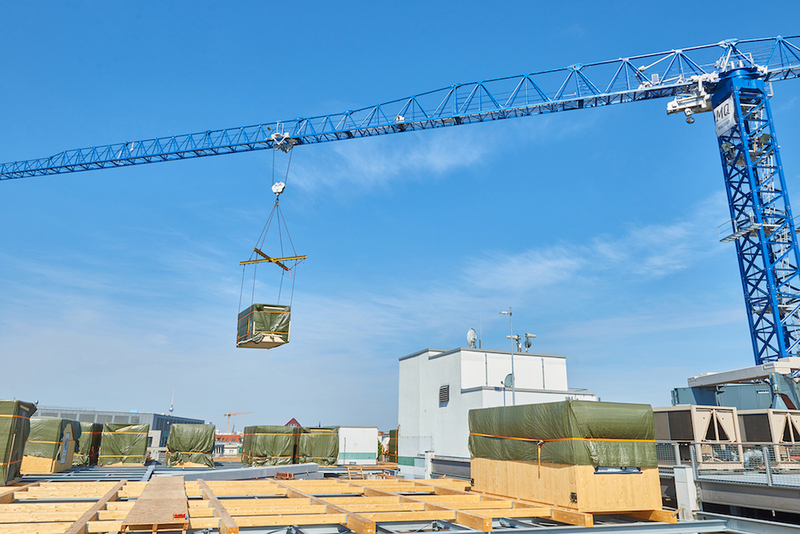 Baukran Logistik, a German rental and crane specialist, is currently using a 21LC750 Comansa tower crane for the construction of a modular hotel, the « Skypark », on top of a shopping centre in Berlin. With its 80m long jib and its 48t maximum load capacity, the machine will be used to install 151 wood modules weighing 8t each, from 20m below the site of the crane to the final destination 80m away on an aboveground park deck. The operations will end in August 2018.